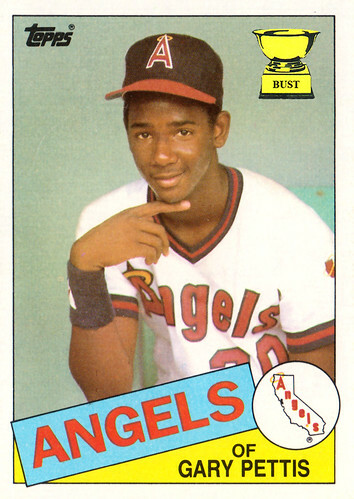 What's "Gary Pettis" pointing at? (B) A handful of teammates making fun of this pose. (C) Someone else with freakishly huge hands. (D) He's not pointing; he's using the wrong finger to signal his dissatisfaction with this card.